We Can Help You With Your Structured Settlement! Need cash for your structured settlement? Why work with Lump Sum Funder to sell your annuity? Fast, convenient, professional, and always working on your behalf. We can provide you with a quote in a matter of minutes. Our Team will work endlessly to complete your transaction quickly. Our professionals listen closely to your needs to develop a funding option that best suits you’re your unique direction. We are able to give you a NO-INTEREST cash advance within 5 days of your call, if qualified. Our specialists are the best in the business. Our financial background & experience rank us among the top purchasing companies. Our vast database of industry articles is available for you to read and familiarize yourself with the process. The quote you receive is exactly what you will get. We never have hidden fees. Once we have developed an individual plan for you, we will put our quote in writing in the form of a Disclosure Statement. We will work on your behalf to obtain court approval. This process begins with the filing of a petition. By law, a structured transfer requires Court approval. Our expert team will successfully guide you. When your deal is complete, we can send your lump sum by check or wire! Excellent support. We will get you your money! Our annuity specialists are at your disposal. With over twenty years of experience in tailoring payment options to each clients needs, our team of professionals works hard to get you the money you deserve. From your first call until the day you receive you lump sum, we are there to answer any and all questions that you may have. Excellent track record as one of the top –ranking annuity and structured settlement purchasers in the industry. Personable team of experts that works with you to provide as much money as possible. We guarantee that we will fund your transaction as quickly as the law in your state allows. Our specialists are available to answer any and all questions in order for you to make an informed decision. 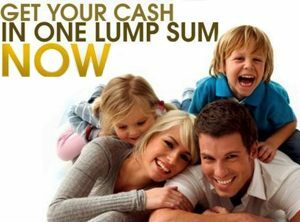 Lump Sum Funder frequently provides cash advances to assist our clients until they receive their money. Our research team works around the clock to find the fastest way for you to receive your funds. Call us today so our specialists can begin working to get you the money you need fast! "I just wrapped up my second deal with Rick. He was always very responsive and made the process simple. I would use his services again if needed"
"Not only did Fairfield Funding get me my money fast, but Shelley worked with my mortgage company to save my house"
© 2019 LumpSum Funder. All Rights Reserved.